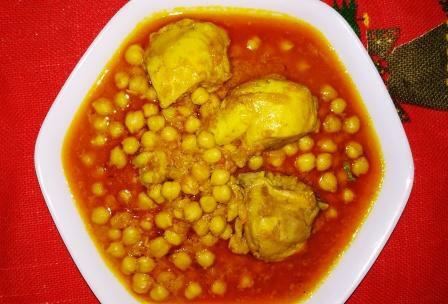 Murgh Cholay is a traditional, aromatic Pakistani recipe. Since it is originated from the historical city of Lahore so it is also known as a significant part of the Punjabi cuisine. 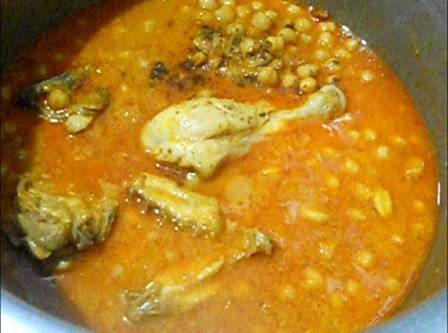 When we talk about some traditional food then Murgh Cholay (white chickpeas or Kabuli/safaid chanay) always comes into mind as first choice especially for breakfast. Nan or till wala kulcha, direct from the tandor, is the best combination with Murgh Cholay, but this dish can be served with roti/chapati and boiled rice as well as zeera pulao. White chickpeas have a lighter color, mainly grown in Southern Europe, Northern Africa, Afghanistan, and Chile, also introduced during the 18th century to the Indian subcontinent. Chickpeas are a useful source of zinc, folate and protein. The chickpea or chick pea is an annual legume of the family Fabaceae, subfamily Faboideae. 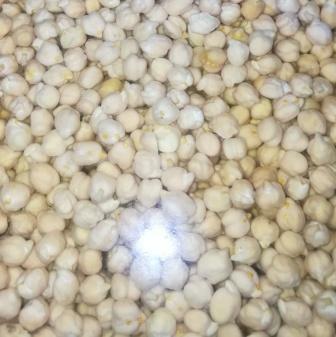 Chickpea seeds are high in protein. It is one of the earliest cultivated legumes and 7500-year-old remains have been found in the Middle East. Chickpea is a key ingredient in hummus, chana masala, and can be ground into flour and made into falafel. It is also used in salads, soups and stews. The chickpea is important in Indian and Middle Eastern cuisine and in 2016, India produced 64% of the world’s total chickpeas. Chickpeas are usually rapidly boiled for 10 minutes and then simmered for a longer period. Dried chickpeas need a long cooking time (1–2 hours) but will easily fall apart when cooked longer. If soaked for 12–24 hours before use, cooking time can be shortened by around 30 minutes. 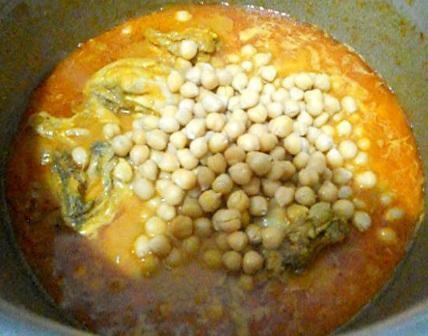 Chickpeas can also be pressure cooked at 90 °C (194 °F). Fresh chicken is rich in Protein – It’s a great source of lean, low fat protein which contribute to muscle growth and development. It is good for the Heart – Eating chicken breast suppresses and controls a body’s homocysteine amino acid levels which, if too high, can lead to cardiovascular disease. While chanay have become more popular recently, their nutty taste and grainy texture pairs well with several other foods and ingredients. With chicken, they have best combination and taste. Don’t hesitate to give it a try. Follow all the steps recommended by Chef to get a perfect dish. First, soak the chickpeas overnight. Boil the soaked chickpeas using soda by carbonate and drain and set these aside. 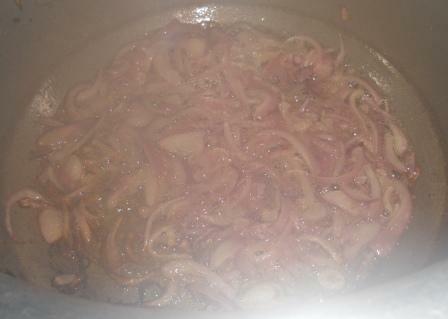 Heat oil in a large skillet, add chopped onion and fry it to light brown. Set aside. 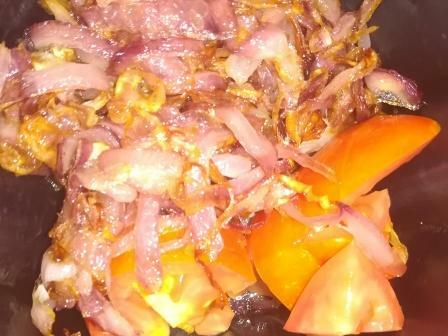 Add this fried onion, Tomato, and grind it in a grinder to make a paste. 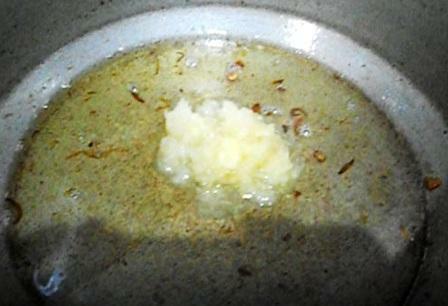 In a cooking pan, take cooking oil add ginger garlic paste and saute it. Add Chicken to it and fry it on high flame. 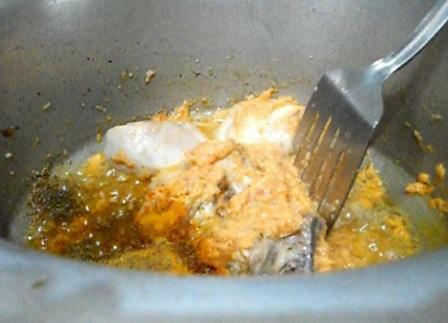 Add salt and fry for 5 minutes to make it tender. Add ground paste to it, and mix it well. Cook for a minute. 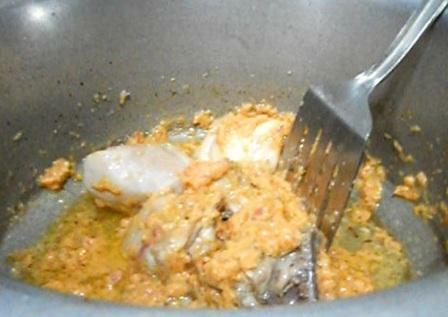 Add salt, chilli powder, turmeric powder, coriander powder, spice powder and mix well. Cook for a minute and then add yogurt. 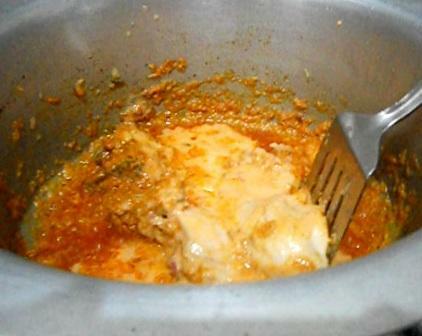 Cook while stirring regularly until some oil begins to get released from the sides and the yogurt is incorporated. 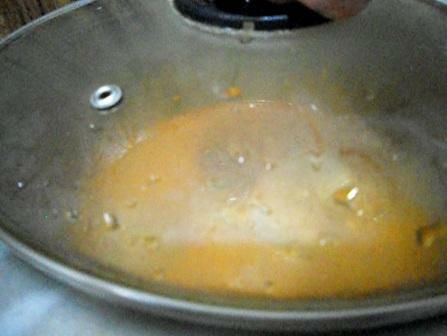 Then add about half a cup of water, mix well and then cover the pan and turn the heat down to low. 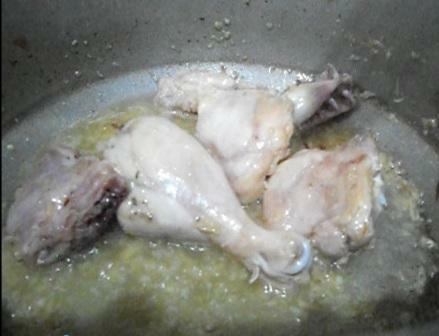 Allow the chicken to simmer gently for about 10-15 minutes giving an occasional stir. Add half cup of water. Cover the lid and cook it for 5 minutes. Remove the lid and add green illaichi (cardamom) and black pepper. Add boiled chickpeas. Add 1/2 cup of water and cover the lid. Cook it to a boil. Garnish it with green chilli, ginger bars and coriander leaves. The best combination is Nan/Kulcha but can be served with bread, parathas, chapatti, roti or rice. You can garnish it with fresh coriander. 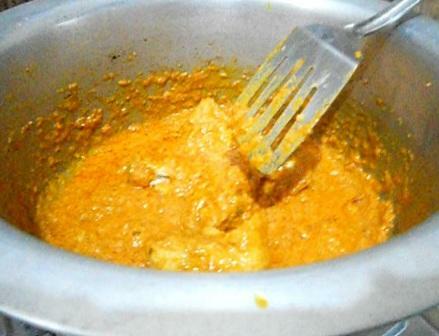 you can add mashed yellow dal (lentil) to a different taste and to thicken the gravy. 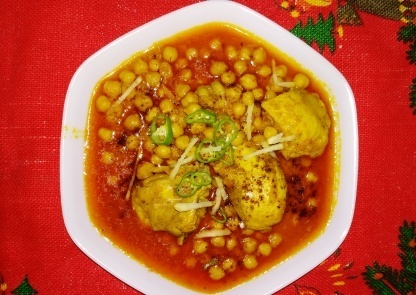 This dish is a typical traditional dish of androon Lahore which gives taste and energy.